Dermaflect Smart Cream uses SmartVector(TM) UV C-E, a special patented delivery system that releases powerful antioxidants onto skin to help fight against free radical aggressors. Apply to clean, dry skin in the morning and as needed. 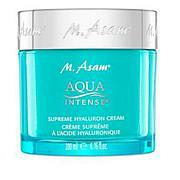 Ingredients: Water, Propanediol, Cyclopentasiloxane, Cyclohexasiloxane, Glycerin, Acetyl Glucosamine, Helianthus Annuus (Sunflower) Seed Oil, Ammonium Acryloyldimethyltaurate/VP Copolymer, Sodium PCA, Urea, Trehalose, Triacetin, Polyquaternium-51, Sodium Hyaluronate, Butylene Glycol, Pentylene Glycol, Caprylic/Capric Triglyceride, Tocopherol, Ascorbyl Tetraisopalmitate, Carbomer, DNA, Dimethicone, Phenoxyethanol, Ethylhexylglycerin, Sodium Potassium Aluminum Silicate, Silica, Hydrogenated Lecithin, Panthenol, Oleth 10, Ectoin, Fragrance, Tetrahexyldecyl Ascorbate, Bakuchiol, Tocopheryl Acetate, Aloe Barbadensis Leaf Extract, Disodium EDTA, Citric Acid, Tourmaline, Glutamylamidoethyl Imidazole, Titanium Dioxide. Thank you for a pleasant fragrance! I like Dr. Nassif's products and I am writing this one to address how the Dermaflect Smart Cream has a pleasant smell unlike many overly perfumed products by other brands. I am sensitive to perfumes and Dr. N does it right. The product goes on without a greasy feeling and smells like cinnamon. The fragrance goes away quickly. Only used it two times now but I think I am going to like it better than the other brand product it is replacing. I also use Dr. N's serum and feel it works very well. 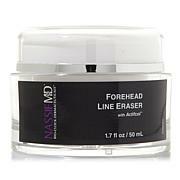 I love this product along with all the other Dr Nassif products I use. Wasn't sure how to use it, and as there weren't any reviews I decided to take a chance. ......... very happy that I did. 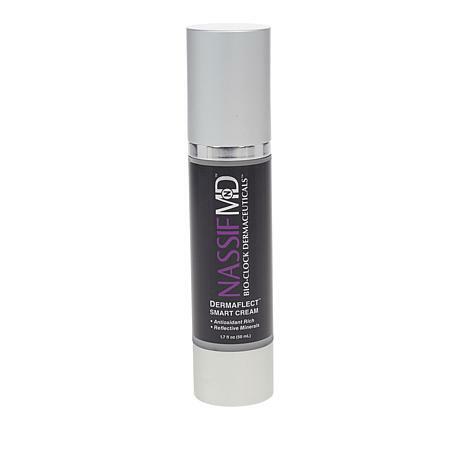 Remind me about Nassif MD Bio-Clock Dermaceuticals upcoming shows.